Listening to feedback from our customers about the old Frequent renter cards we feel this is a fairer way of rewarding our customers. Free days can be used during the week or if it’s taken over the weekend you only pay the remaining balance for 1 day at the normal daily rate. 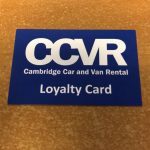 Active frequent renters cards are still valid but can not be carried over to our New Loyalty Cards. Terms and conditions are available to read on our website. 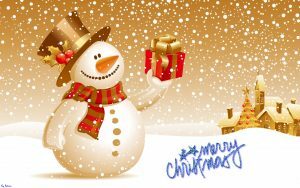 With Christmas fast approaching we would like to say a huge Thank you to all our Customers at CCVR and wish you all a very Merry Christmas and a Happy New Year!